Dr. Edward Lee is an internist and board certified in addiction medicine and medical acupuncture. He currently practices at the W.G. Hefner VA Medical Center in Salisbury, North Carolina, where he has been tasked to develop an integrative health and wellness program. 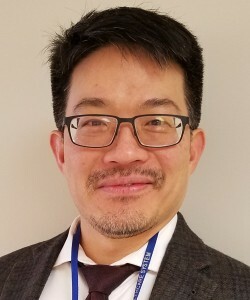 Dr. Lee previously was with the Pittsburgh VA Healthcare system where practiced primary care, addiction medicine, acupuncture, and integrative pain management. He has been practicing acupuncture since 2007.